But we can make the most of it. Yes, each one of us. If only we know what to do. At this point in your life, if you’re inclined towards a career in cinema or television, and want to prime your chances of getting into one of the premier institutions in India, this course is perfect for you! 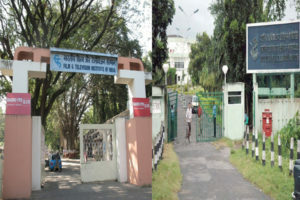 Are you going to take the FTII/SRFTI entrance exam this year? Have you prepared for your exam yet? Don’t have a clear idea about the question pattern of FTII / SRFTI? Here’s big news for you! Filmmakers Fans is offering 22-Day online FTII/SRFTI and 6-Months Online Coaching classes to those who are taking the entrance exam this year. Don’t miss out this incredible opportunity! 1. Why choose FTII / SRFTI for learning the craft of Filmmaking? There is a reason these are India’s premier institutions in this field. They are reputed, having provided the industries with many noted artists and craftspeople over the years. Their alumni provide references to others following them, and the ecosystem receives the graduates very well. It is as simple as that, and yet, the statistical probability is very low for any given candidate. The reason? There’s very little scope for preparing for entry to these premier institutions. Now, finally, here is the opportunity! Those who are in the final year of their undergraduate studies, or graduates who haven’t found their calling, are eligible to apply to these institutions, but more importantly, we’re looking for those who have been dreaming of getting into these exalted places! We provide best faculty to give you a close-up view of the entrance exam pattern of FTII & SRFTI. 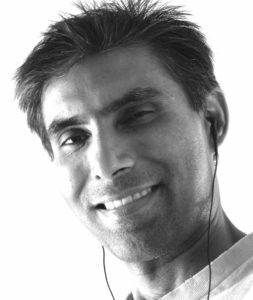 Bala Senthil Kumar is a produced screenwriter, and cinema and television industry professional with over 20 years of international experience, groomed in the Hollywood development system. An alumnus of Montana State University, Bozeman, Montana, USA, he is currently a Creative and Project Consultant in the Indian Film Industry. He is a visiting faculty and has conducted workshops in various institutions like Symbiosis International University, Pune, PSG College of Arts and Science, Coimbatore, etc. He is a published author in Forbes International and a widely read contributor to cinema related queries on Quora. At the Workshop, he will be handling General Film Studies, Conducting FTII/SRFTI Entrance exam Mock Tests (Thrice in a week), Practice of Frequently asked FTII/SRFTI Questions and Answers. Anirban Lahiri is a film critic in the true sense of the term. He studied Masters in Film Studies and Comparative Literature, in Jadavpur University, Kolkata. 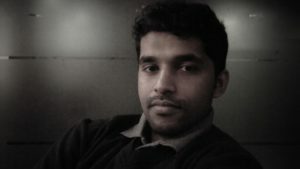 He specialized in the Post-Graduate Cinematography program, from L V Prasad Film & TV Academy, Chennai. He has eight years of teaching experience in all areas of filmmaking. 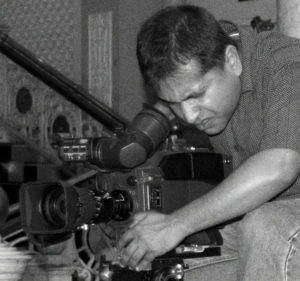 Lahiri has taught at Digital Academy, the Film School, Loyola College, Hyderabad, Wigan and Leigh College, Kolkata, and multiple colleges under Mumbai University. Lahiri was one of the first critics and Editors of Dear Cinema, India’s first World Cinema portal. He edited Film Perspectives Magazine, the first Film Education magazine in print from India. With four feature-length documentaries, and multiple TVCs and music videos in his oeuvre, Anirban Lahiri is busy with feature-length fiction projects at this moment. At the Workshop he gives awareness to the aspirants about the basic question pattern of FTII / SRFTI, discussing the frequently asking questions, conducting mock tests, conducting assignments etc. Mr. Sreekanth is an engineering graduate and known marketing professional in the media field. At the Workshop, he will serve as a program coordinator. The course will cover every single aspect of the entrance exam and interview process you can expect as an applicant to FTTI/SRFTI. The teaching method will be structured along the lines of a battle preparation. You will be taught what you need to know and be tested like in the real entrance exam. You will face and understand both the pressure and the knowledge you will need to handle it with confidence. Remember that our faculty is here to enable you to the highest degree, so you will be free to ask questions and obtain maximum clarity on any part of the syllabus. Free Training: Provides free training to those who cleared the written entrance exam of FTII. 7. How to reserve the seats in advance. You can reserve the seats by paying the advance amount to our bank account. 8. What you get if you participate in This Program. You will get the best preparation possible to enter FTII or SRFTI, through their existing exam and selection process. The bigger, and perhaps more important reason is that YOU, the candidate, should really want to succeed, and give yourself the best shot at this goal. You will not get this opportunity anywhere else at the moment! Filmmakers Fans can assure not just the best preparation towards your goals, but also the best inspiration for you to take this route to a life in Cinema or Television. Be sure to read up on the history of cinema, and particularly the history of Indian cinema. You will need to know not just names of movies and people, but also significant landmarks, turning points, biggest influences of various art forms on this medium, the introduction of certain techniques and technologies, who was felicitated with what, etc. In terms of world cinema, you should know the names of the masters from all over the world, their work, their influence on world cinema culture, etc. Not all this information can be found in one place either. Read up on basics of storytelling, and the evolution of the grammar of cinema since inception. Please ensure you are mentally prepared for this exciting but challenging journey ahead. Extremely superb coaching given by the faculties over here.One can learn a lot about cinema here.If you aspire FTII or SRFTi please ensure your admission here..They train you thoroughly in all aspects. This is actually an Online Filmmaking Film Studies workshop - But FTII Coaching Oriented.Two - Three Faculties in Online class. After that Mock Tests on Specific Department.Really Good. Personally I had good benefits for joining this class. Great Effort. Thank You Team Filmmakers Fans! Big thanks to the total team of Filmmakers Fans for organising this FTII entrance exam coaching workshop. I hope the entrance exam of Ftii will very soon comes into the list of IIT , IIM, NIT like students most seeking entrance exam lists in India. In 2007 I attended FTII ENTRANCE EXAM. I spend around Rs. 3000 for attending the 3 hour exam, I didn’t cleared the exam. In 2018 I am planning to again attend the Ftii entrance exam. I came to know that you guys are conducting fantastic entrance exam coaching classes for the FTII and SRFTI. My dream is get into there. Dear team, I want to join in your teaching class. Do you guys provides FTII /SRFTI coaching in Mumbai/Delhi? Filmmakers Fans provides entrance exam coaching for aspirants who wish to join in FTII , SRFTI and IIMC (Indian Institute of Mass Communication). The coaching classes will held online only so that anyone sitting in anywhere India can participate in this program. From one of my friends, I came to know that you provides coaching to crack the FILM AND Television institute of India (FTII) and SRFTI Entrance exams. I am graduate in Law. I am deep passionate in filmmaking. I wish to specialize in Filmmaking from SRFTI. My friend told me that the faculties of your entrance exam coaching classes are the pass outs of FTII and SRFTI. That’s cool but the seats to the workshop are limited to 10 . How to register first ? Hi, filmmakersfans are doing a wonderfull job in preparing film school aspirants. I took their class for FTII 2017 entrance. The faculties are quite experienced and knowledgeable and have been able to provide clear and basic idea about various aspects, technicalities and evolution of film making. The mock test conducted based on various sample question were helpful in getting a decent idea of the types of questions asked in entrance. The faculties and the course coordinator are all very approachable and helpful people. Where not many options are available for preparing for filmschool tests filmmakersfans are making sincere efforts in bridging the gap. Hello I would like to share my experience on FTII/ SRFTI online coaching class which is organized by Sreekanth Gopinathan. the class was awesome before joining the class I don’t have any idea about the exam what is coming, how to study, where to study, what topics I have to read, whats is the pattern of exam which area I have focus more all these questions are pitching my head everyday but I didn’t get the answers thanks to Sreekanth and all the teachers who have guide us in each and every aspects they are the best teachers i would like to say they give us online class for 5 hours daily apart from classes we have assignments, mock test, ppt, questions and answers, and many such types of materials they have provided us which help us a lot to have clear cut idea of the exam some questions are there in the exam which we have solved in our classes really it helps u a lot so don’t think about more and don’t be confused be confident and u should definitely take this classes which help u a lot and it will clear all ur doubts and questions. Thanks All the best. i like to enroll in coaching for ensuing entrance exam for admission to srfti in 2017. kindly inform the procedure. How tough is to get in ftii or srftii? I want to study film editing. Each year how many people are applying for this course? The Exam of FTII 2018 will not be really tough if you study properly. Each year 5000+ students are applying for FTII entrance exams. I’m pursuing mechanical engineering, will be pass out by 15th of June, 2017. I’ve been working as I want to attend the entrance exam for ftii. So can you please guide me regarding the exam dates and when I can start your coaching courses and fee structure. It will be great if you mail the details. Thanks for showing the Interest to attend the FTII / SRFTI ENTRANCE EXAM COACHING. We provide best and most fruitful coaching to FTII SRFTI entrance exam. Contact us at filmmakersfans@gmail.com to know more amout the SRFTI / FTII coaching syllabus, fees structure etc. When wil you start with coaching classes for 2018 entrance ? I am a student of the final year in Mass communication and journalism from Calcutta University, I aspire to appear for the entrance exams of FTII and SRFTI in 2018.Kindly inform about the procedure of your coaching in regards to these entrance exams. Sir/maam i want to give the acting course examination..will u provide the coaching for the same ? I am a graduate and working employee. I am looking forward having full-time preparation for entrance exams of FTII and SRFTI 2018. When does your classroom coaching start? How can I ensure my admission? Please comment. I’m looking to write the entrance this year. I see that the coaching center is in Delhi. I’m from Hyderabad, so do you guys have a online coaching centre or any other center in Hyderabad? Lela, There is No Problem. You Can Join Our Online Coaching Class For FTII SRFTI Exams. Hello I am from Delhi. I want to join your classes for FTII. How can join your class? Is this offline classes available? Sorry. There’s No Offline Batches for FTII SRFTI Entrance Exam Coaching Available Presently with us. Hello, I want to join this for FTII 2018 in February. Please let me know how can I join. You can contact me at my number . Hi filmmakersfans.. First of all a big thanks to you for providing coaching for FTII, which, currently, is no one doing. Also could you please confirm if you are planning for offline classes for 2019 exam in Delhi/Mumbai? And about the books to be read regarding Indian Cinema (before coming to your classes in case starting late this year)..
Hi. i am Prathamesh right now working as an intern in CEAT LTD Mumbai , i want to give FTII entrance exam of 2019 so now as you guys gives coaching for the same i would like to enroll into your academy . so for the aptitude test will you guide me with that ? if required i may share my contact number also for one to one conversation . We are glad to assist any queries regarding the FTII Entrance exam coaching. For any inquiries regarding FTII 2019 ENTRANCE EXAM COACHING, KINDLY MAIL TO filmmakersfans@gmail.com. When you are going to start new session? Thanks for arriving the website of FTII SRFTII Entrance Exam Coaching. We are known as best coaching institute in India for JET EXAM. Now, let’s come to your query and its answers. I want to join class for FTII acting stream . So please provide me details to join you and admission form.